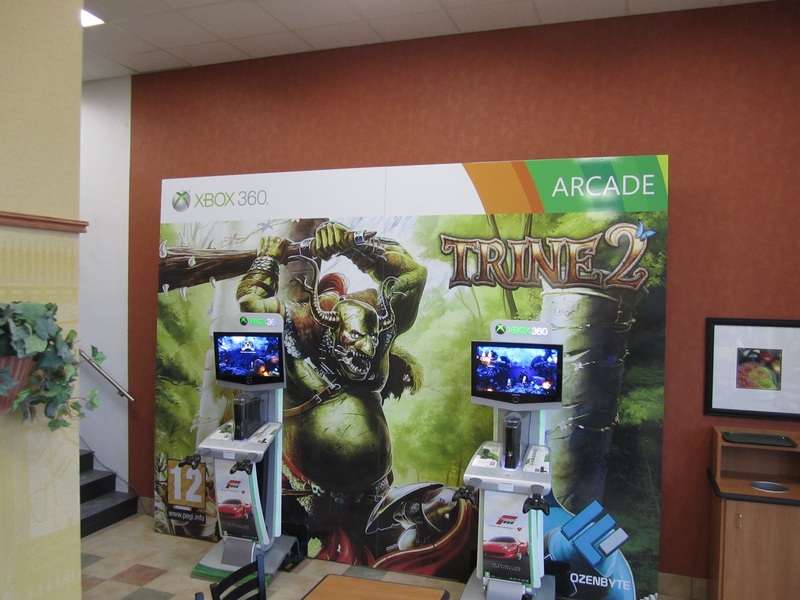 Today there was a large tech store opening here in Helsinki and in their shadow also the first place to play Trine 2. This is located near the Subway at the Verkkokauppa.com complex for all those in the area that might want to go try the game. We would love to open up more of these around the world, but right now we are just way too busy to make it happen. Srsly if you don’t release the game in the next twelve minutes, I’m gonna do something. I dunno waht. Maybe play more MW3. Meh, this took too long to get out… I’m over it. Battlefield 3 & AC3 live instead! omg can’t wait anymore.. lets see it!! loved the first one.. best game ever! Even got my dad to play, haha. Guy! you have make the better ever game which i played since long time! Why do you doesn’t make it an action/mmo with more levels and caracteres.. always in scrolling but all levels where connected where we could go in the background.